Deborah Mitchell is one of the World’s most respected beauty therapists and creator of Heaven, natural and organic products and treatments developed to help care for and heal the skin. Deborah has become known globally for her signature product, the Bee Venom Mask containing ABEETOXIN®. It is not the alternative to Botulinum Toxin but the natural solution and has a firm International following including both celebrities and royalty. Other products in her range include Age Defiance, Divine Cream, SOS Oil Serum, New Edition Cleansing Cream, Bee Polish, WillowBee® Mask & Cleanse and Chamomile Desensitising Hydrogel to name but a few. Also launched this year is the brand new BeePeel that is blurring the lines between medical and organic. A face lift in a jar! Treatments include the Bee Sting Royal Facial & Bee Peel Facial. Deborah is now a World-wide success, with products and treatments available nationwide and around the World. 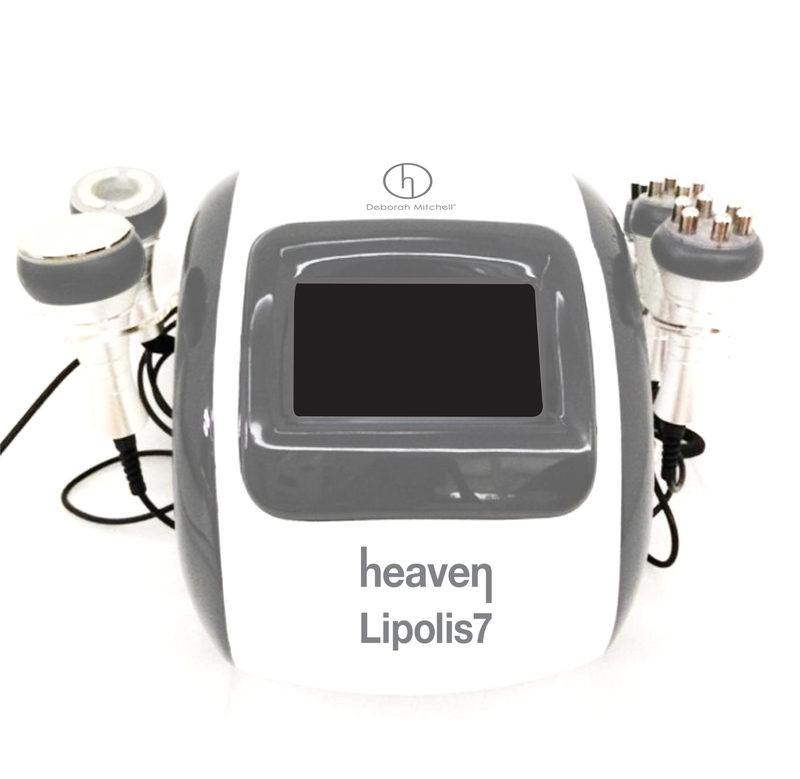 Achieve outstanding results with the latest in anti-ageing technology. 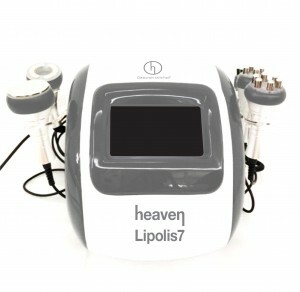 The Lipolis7 treatment passes electric currents into the body to stimulate nerves and muscles. Skin conditions are treated by exposing the body to timed amounts of specific frequencies of light. 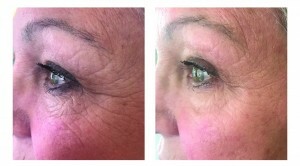 Face-lift like results after one treatment! Non-invasive and pain-free, the treatment improves skin-tone instantly. There is no down-time after the treatment and it is a complimentary treatment to those who have botox. A course of six is recommended with 3-4 weeks between each treatment. This facial is a firm favourite with celebrities such as Gwyneth Paltrow, Victoria Beckham, Dannii Minogue and members of the Royal family. The natural alternative to Botox! This facial lifts, firms and increases collagen and elastin. Using firm massage movements to work the muscles to reverse the signs of ageing. A natural product and the first of its kind. This unique treatment has been specially created using natural and organic ingredients, combined to work in synergy for an instant anti-aging effect, leaving you looking and feeling instantly younger. The full Bee Sting facial including a soothing back massage using our Dream oil. Designed with Organic Coconut and Raw Cane Sugar to resurface skin, minimising the visibility of lines, scars, dark spots, dullness, blemishes and enlarged pores. This 30 minute treatment will enhance exfoliation. Hydration generates plump and silk smooth skin by reducing inflammation and pre-clogging surface debris. This unique, fresh formula helps boost the production of collagen which increases the strength, elasticity and thickness of the deeper layers of your skin. Designed with Organic Coconut and Raw Cane Sugar to resurface skin, minimising the visibility of lines, scars, dark spots, dullness, blemishes and enlarged pores. It will enhance exfoliation. Hydration generates plump and silk smooth skin by reducing inflammation and pre-clogging surface debris. This 60 minute treatment includes an additional 30 minute back, neck and shoulder massage using our dream oil. If you have any questions about any of our treatments or therapies then please don’t hesitate to get in touch. One of our skilled therapists will be more than happy to discuss any details with you. You can call or email us, alternatively use your quick contact form and someone will call you back.